" Great since I have an allergy to the silicone masks which cause a rash on my face. " 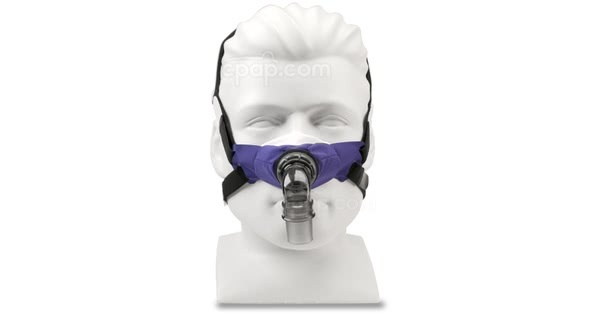 " This is the most comfortable mask. No problem with leaks. No marks on my face. Will continue to purchase this mask. " The SleepWeaver 3D is part of the SleepWeaver line of masks from Circadiance made with a cloth cushion. Using cloth instead of traditional silicone or plastic helps make the mask one of the lightest masks available. Cloth masks also breathe easier helping alleviate condensation and moisture buildup in the mask. The cloth style is also preferred by those who may have skin aggravations from other mask types. 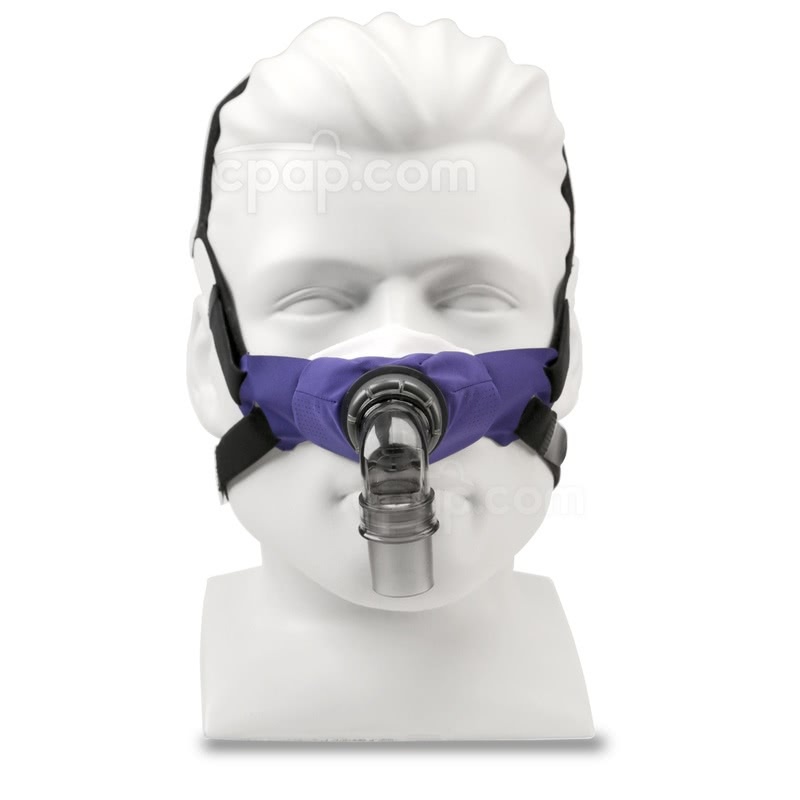 The 3D mask comes in a single size cushion intended to fit a wide range of users. The mask has an elastic piece of inner fabric extending off the cushion that helps create a strong seal on the nose. 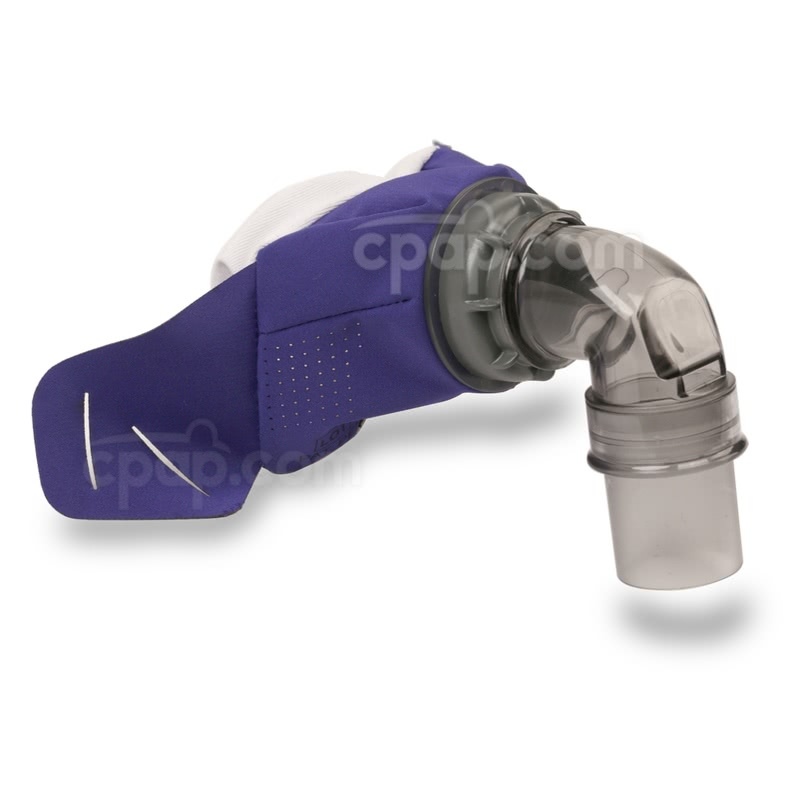 The 3D elbow swivels freely, allowing the hose to move during position changes during the night with less chance of disrupting the mask seal. 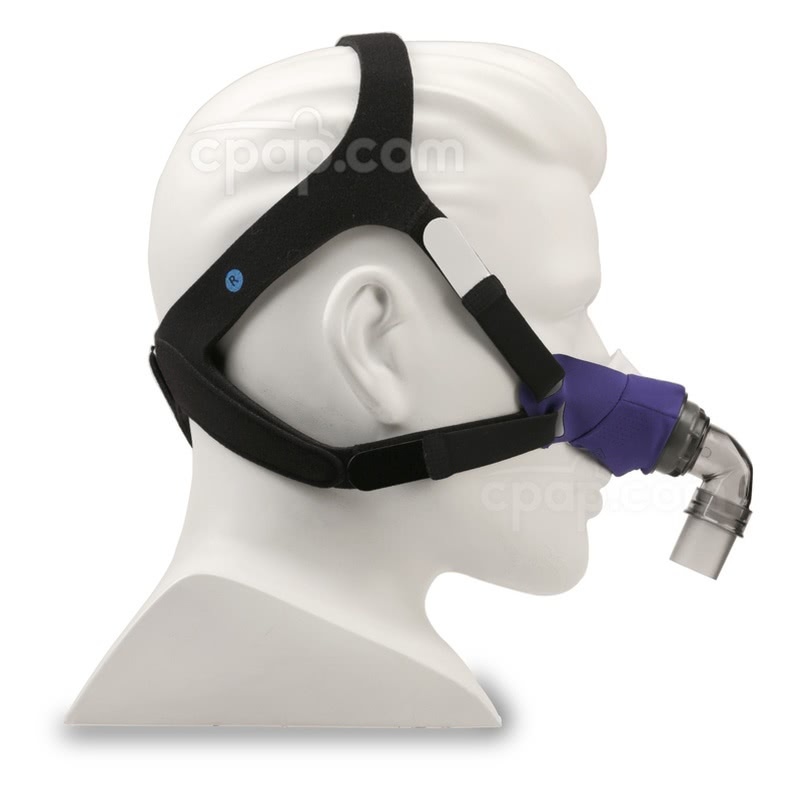 The swiveling elbow also allows the hose to be routed above the mask if needed for additional freedom of movement. The SleepWeaver 3D includes a satisfaction guarantee. If not satisfied, the mask can be returned within 30 days of purchase. 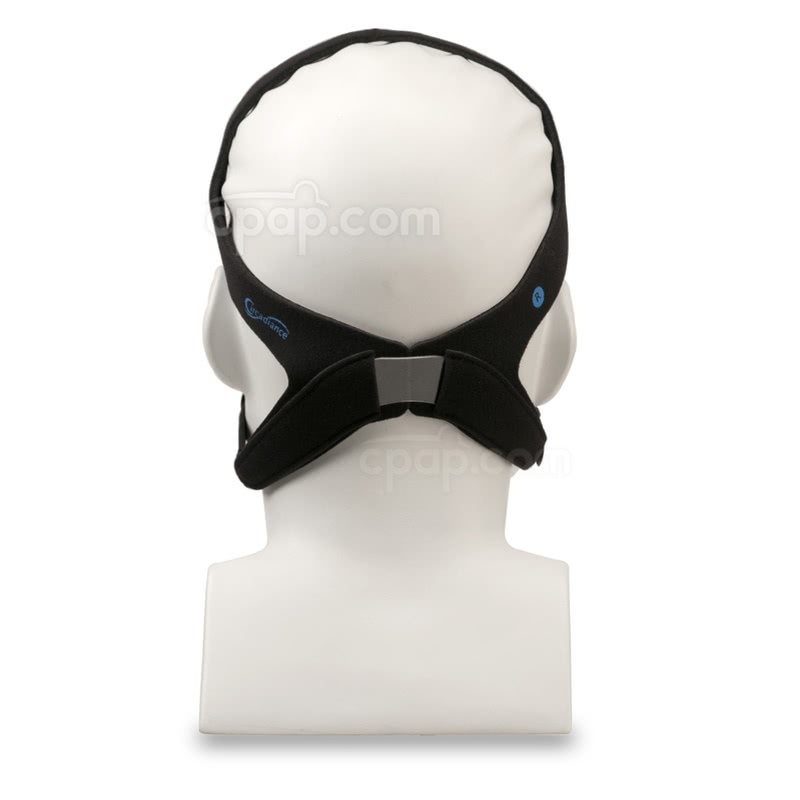 The SleepWeaver 3D has a single size cushion (blue only) but two sizes of headgear: regular or large. The headgear size needed is determined by neck size. Using a soft measuring tape, measure around the neck. If the neck measures up to 16.5", the regular headgear can be used. If 16" or greated, the large can be used. The headgear should be snug, but not too tight. It should be loose enough for a finger to slide between the headgear and skin. Push the white inner seal fabric into the mask with your fingers to help create a proper seal. Adjust the mask side to side to ensure the mask is in proper placement. 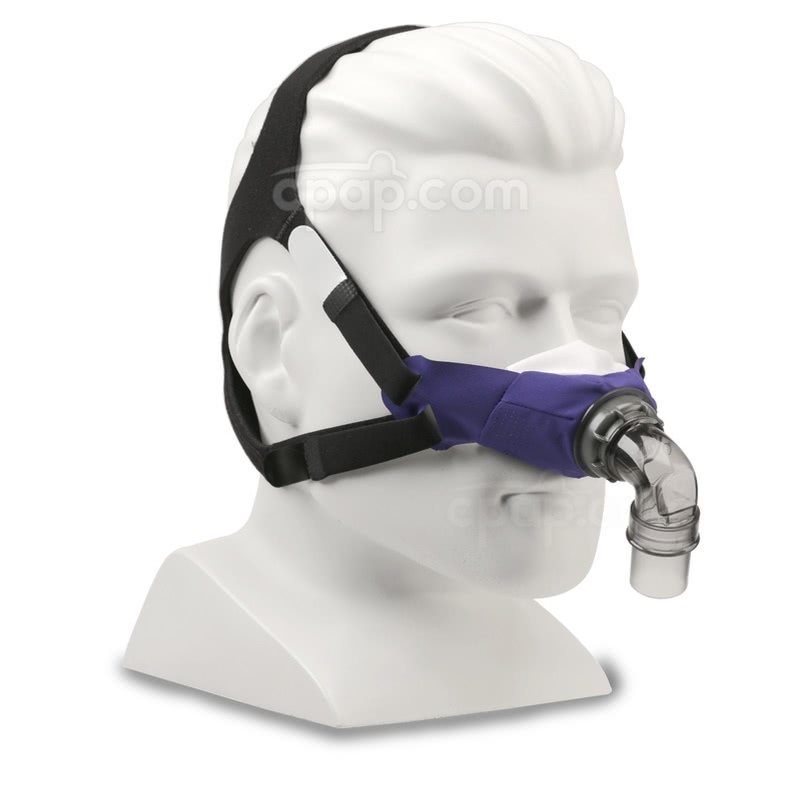 Use of the OPTIONAL Featherweight Tube helps relieve tension on the mask for an improved seal. The 3D headgear should be washed weekly using warm water and a mild detergent. Rinse well and allow to air dry out of direct sunlight. The cushion should be washed daily in the same manner. If desired, mouthwash can be used after washing, but before rinsing.